jetPRIME™ | Tamar Laboratory Supplies LTD.
jetPRIME™ is a new versatile and powerful DNA and siRNA transfection reagent for day-to-day experiments. jetPRIME™ ensures high DNA transfection efficiency and excellent gene silencing in a variety of adherent cells. 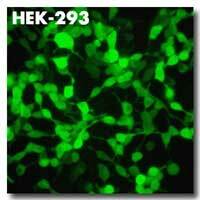 is ideal for DNA/siRNA co-transfection. jetPRIME™ is very gentle to cells since it requires low amounts of nucleic acid and reagent during transfection. 114-75C 5 x 1.5 ml 120 ml 5X conc. 1.5 ml is sufficient to perform ca.375 transfections in 6-well plates.Bulk quantities are available upon request. Please contact us.